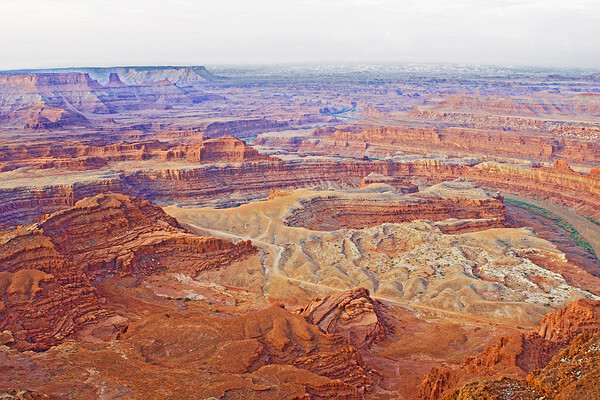 Canyonlands National Park from Dead Horse Point. It is around 2,000 feet to the canyon bottom. The canyon was formed by the Colorado river.